I am a member of the Data Management, Exploration and Mining group in Microsoft Research Redmond. I work on various aspects database systems, mostly related to data integration and transaction processing. Currently, I’m working on a distributed systems programming framework, called Orleans, which was released as open source in January, 2015 and is widely used inside and outside Microsoft. I gave a keynote about it at DISC 2014 (slides). In the last few years, I’ve worked on projects to enrich Orleans to be an “actor-oriented database system”. I described the vision in a keynote at ICDE 2018 (slides). You can read about the following components: indexing (CIDR 2017), geo-distribution (OOPSLA 2017), and transactions (technical report)—all of which are available on GitHub. Principles of Transaction Processing (2nd edition), coauthored with Eric Newcomer, was published in June 2009 by Morgan-Kauffman Publishers, a division of Elsevier. Translated into Chinese, Japanese, and Korean. Concurrency Control and Recovery in Database Systems, coauthored with Vassos Hadzilacos and Nathan Goodman, is downloadable for free from here. My other main research interest is data integration. From 2000 – 2011 I led the Model Management Project, whose goal was to make database systems easier to use for model-driven applications, such as design tools, message translators, and database translators. I also worked on object-to-relational mapping, especially in support of the ADO.NET Entity Framework. Over the years, this work has been done in close collaboration with Sergey Melnik (now at Google), James Terwilliger (Microsoft), Eli Cortez (Microsoft), Suad Alagic, Alon Halevy (Google), Jayant Madhavan (Google), René Miller (Univ. of Toronto), Peter Mork (Noblis), Rachel Pottinger (Univ. of British Columbia), Christoph Quix (Technical Univ. of Aachen), Erhard Rahm (Univ. of Leipzig), Adi Unnithan (Microsoft), and many great interns. I’ve published many research papers on transaction processing, data integration, and other aspects of database management. You can find a nearly-complete list at the DBLP Computer Science Bibliography. Affiliate Professor at University of Washington, where I occasionally teach CSEP 545 Transaction Processing. Member of the National Academy of Engineering and Washington State Academy of Sciences. Editorial Board member: Information Systems, Springer Data-Centric Systems and Applications. 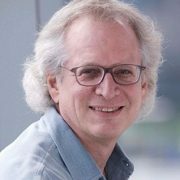 Awards: Fellow of the ACM and the AAAS; SIGMOD Edgar F. Codd Innovations Award. This page offers a free download of the above book in PDF file format. You can read or print it using Adobe’s Acrobat Reader, subject to the restrictions on the copyright page, which is the second page of the Preface. The easy way to obtain the book is to download the zipfile of the entire book from here (22.9 MB). Then tell Winzip to extract it to a folder. The Contents.pdf file in the root folder offers conveneint access to the rest of the book, and the page numbers in the Index are linked to the proper pages. If you take this route, you can ignore the other directions below. Below are all the files, which you can download one by one. All of these files are governed by the copyright notice in the preface.